AKSHAYA SOLAR POWER (INDIA) PVT LTD is a prominent Manufacturer, Supplier and Exporter of quality Solar Energy Products that includes Solar Panels, Solar Street Lighting, Solar Home Lighting, Solar Water Pumping, and Solar Lantern. 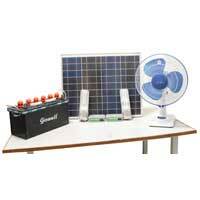 These Solar Energy Products are manufactured from quality components and using hi-tech technology. Moreover, we design custom systems and products to satisfy specific load and environmental requirements. Our entire range of products is durable in nature and manufactured with utmost precision under the vigilance of our experts. 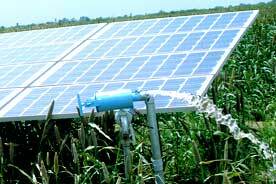 The Solar Energy Products offered by us, are highly demanded by Solar System Integrators, OEM’s, and Government Bodies. We are successfully supplying our products in the countries like India, USA, Bangladesh, & Sri Lanka. In addition to this, we are one of the most reputed Solar System manufacturers in India. 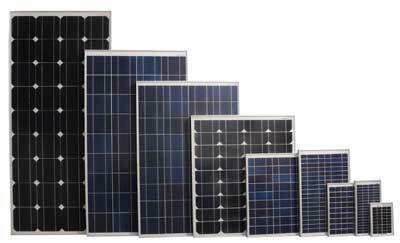 We are a well-known Manufacturer and Supplier of Solar Panels, which are fabricated in compliance with industrial standards. 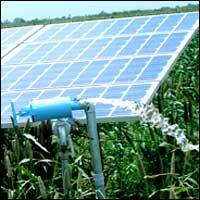 These Solar Panels are integrated with latest features thus ensure better performance. 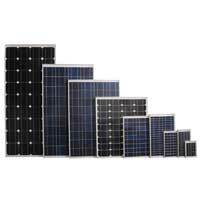 Our range of Solar Panels is available in different specifications to meet the requirements of the clients.